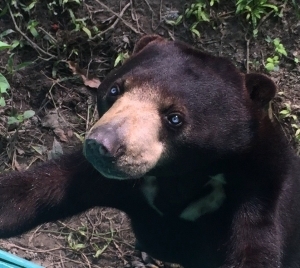 Kat Smith tells us about her time volunteering in Thailand at a wildlife sanctuary. 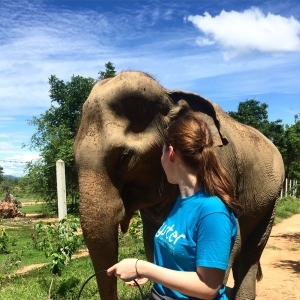 “I booked my volunteer trip to Thailand with Oyster in November, not really feeling like it would ever really happen – it just felt like a distant dream of helping beautiful animals in a wonderful country. 9 months later and I’ve just arrived home after 2 weeks of volunteering at the wildlife sanctuary and have made memories I expect will last me a lifetime. I was pretty terrified at first; being a month into my 18th year, everyone else seemed to be older than me. As someone who’s not used to intense heat either, it probably wasn’t the prime precedent for a volunteer working almost everyday all day in 32+ degree weather. I booked onto it out of a love for animals and a desire to do something worthwhile and helpful during summer, but as it got closer and closer the nerves set in. I knew (and hoped) it was going to be a challenge but in the end I loved almost every moment and have no regrets except for not planning to travel afterwards. The first day was intimidating but I was later relieved to find out that most people felt like that on their first day, then they had quickly met people and settled in, so it was all natural to be a little nervous. Realising I was in a room with seven other people was terrifying at first but turned out to be one of the best things about my time there, in spite of our bathroom! My roommates were lovely and were so welcoming, with many of them becoming amongst my closest friends in the wildlife sanctuary. The social side of the trip definitely made me more confident; I was put in a position where I only knew one other person so I had little other choice than to just put myself out there, something I’m normally afraid to do. I learned how important it is to make an effort to introduce yourself and engage with others and not expect people to just come up to you; most will appreciate you more for making that effort and it can lead to me meeting some really great people. gs was when we went up to the elephant tower to watch the sunset and the elephants began ‘talking’ (it was like a purr/rumble) to each other in the absence of all the people – it was a moment I won’t ever forget and a sunset experience I don’t think can be beaten. I got 3 days off in total (one day off during my week on wildlife and two days off during elephants) and spent them going to Hua Hin, Cha-Am and a spa. The night market at Hua Hin was incredible and the beaches both there are and in Cha-Am were a lovely break from the work, even if I did get completely burnt (I don’t recommend falling asleep in the sun). Getting a Thai massage at the spa was an interesting experience but sorted my shoulders out after harvesting banana trees for the elephants a couple of days prior! The work itself was at times physically challenging but we all found ourselves adjusting to it and embracing those 6am starts (maybe ’embracing’ is too strong a word – we certainly got used to rising alongside the sun!). Volunteer activities included preparing meals for the animals, composting and scrubbing enclosures, filling up the animals’ water buckets, running with the elephants’ salads so they wouldn’t catch up with us before we’d put it in their concrete bowls. If you’re prepared to work hard and get muddy and love animals, this is the trip for you. I’m not the most physically strong person and there were times where I felt pushed to my limit but they’re not expecting everyone to be body-builders; they just want everyone to work as hard as they can and work together to help the animals, so I now know my concern about my physical strength was unfounded! 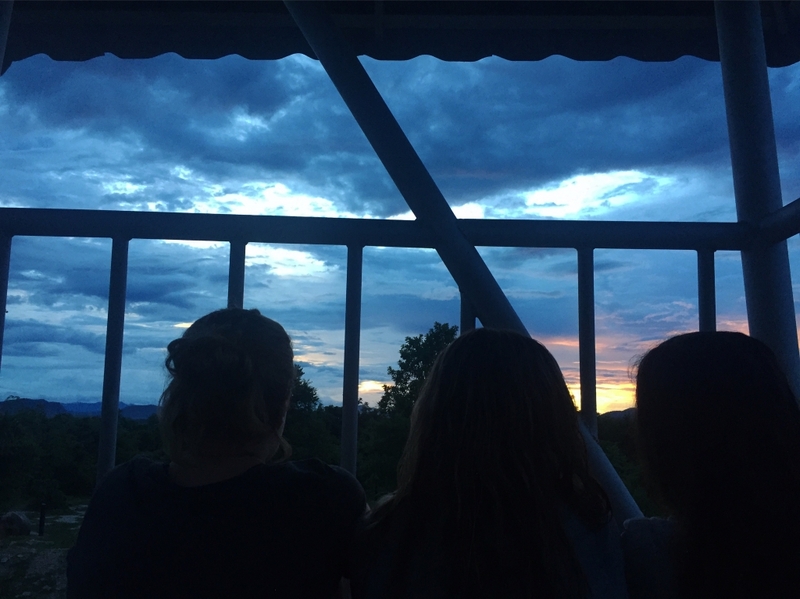 To find out more about Kat’s time volunteering in Thailand, check out our wildlife sanctuary volunteering page.